The Glass Womens Rural Institute begin their 2012/13 programme of events. The first meeting is tonight 6th September. New members are always welcome and we meet in Glass Hall at 7.30pm. The Programme of events is now on the Glass SWRI page so do browse and hopefully we shall see new members at some of our meetings. 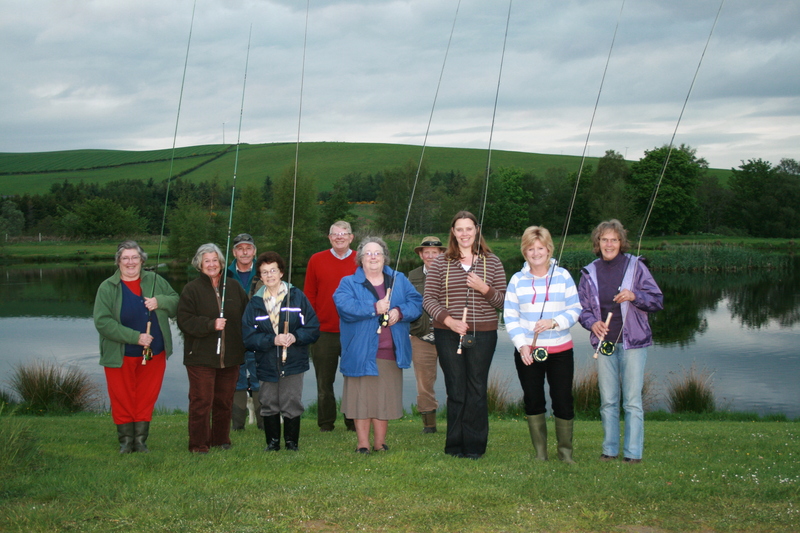 At an extra event last year we went to Artloch Fishing and here is the photos of the ladies! No fish caught but a great evening was enjoyed by everyone. Posted on 06/09/2012 by Secretary GCA.